Service Costs > How Much Does Senior Assisted Living Cost? How Much Does Senior Assisted Living Cost? Senior assisted living homes provide care and comfort to senior citizens, and these types of homes usually offer shelter and medical care that relatives may not be able to provide because of their busy schedules and lack of extra time. The cost to get the service of senior assisted living depends on the accommodations the facility provides, the geographical location and so many other factors. On average, the cost can range anywhere from $70 to $350 per day, while monthly rates can range anywhere from $2,100 to $10,000. Like an apartment complex, the costs will greatly depend on what the resident is going to receive. For example, a higher end assisted living facility located in a higher rent district will all the amenities, such as three meals per day and 24/7 nursing care, can easily be more than $10,000+ per month. From our research, however, the average cost is about $3,600 to $5,200 per month. 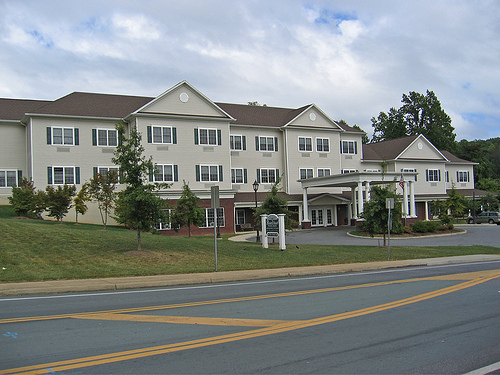 According to AssistedSeniorLiving.net, the price, on average, can range anywhere from $70 to $300 per day, while monthly rates can range from $1,800 for a lower end facility and more than $9,000 for a higher end facility. A Place For Mom says the most expensive median monthly assisted living costs are found in Alaska, New Jersey, Delaware, Connecticut and Massachusetts. Elmcroft Senior Living says the average cost is about $105 per day and will depend on the type of apartment, the level of care required and the accommodations you prefer. NOTE: These prices were gathered by going to three different assisted living homes in each state. Remember, the prices are going to widely vary, and what you will find is that the more premiums they have, the more they are going to cost. This should keep you an idea about what each geographical location can charge. Like choosing an apartment when you were younger, the larger the size, the more you’re going to pay. A studio apartment, according to payingforseniorcare.com, can be almost 20 percent less than a one bedroom apartment. The square footage, the number of rooms/bathrooms, location inside the community, the view and proximity to the common area/elevators can all have an effect on the pricing. A room with a view of the courtyard, for example, could cost 20 percent more than one with a view of the parking lot, even though the room is the same size. Not all of the assisted living facilities you come across will require 24/7 attention. Those who need less attention will, of course, pay a lot less than someone who needs to be monitored 18 hours per day. The level of care to think about will include bathing, dressing, grooming, transferring in a wheelchair, eating, medication, housekeeping, and laundry. The more services you need on this list, the higher the price may be. The more “extras” you want at your facility, the more you can pay. For example, if you need your laundry done weekly, then this could be considered a premium add-on. The same can be said about transportation options, educational classes, wellness classes, common area amenities and entertainment. Most facilities will be a safe and secure environment where seniors are able to live an independent lifestyle with the help and support of qualified professionals. Depending on the care required, these facilities can help with bathing, medication, dressing, mobility and so much more. Don’t get this term confused with a nursing home, however, since a nursing home will require around-the-clock medical care, while an assisted living community allows you to be more independent. Common basic services you will find at most assisted living facilities will include restaurant-quality dining three times per day, simple housekeeping chores, transportation options, health programs, a common area and emergency response staff that’s available 24 hours per day. Just about all facilities will charge a non-refundable administrative fee when you move in. This fee will cover getting the resident enrolled in services and preparing the room for move-in. These fees can range anywhere from as little as $800 to more than $5,000. Alzheimer’s and dementia care can increase the costs by more than 50 to 70 percent, depending on where you go. If you know an assisted living facility is in the future, take the time to research because what you may find is that some locations, if popular, may have a waiting list. Be sure to visit the location unexpected multiple times to see how they work, check into their licensing and talk to the staff to have them answer any questions you may have. Also, it doesn’t hurt to have an attorney review the contract when it comes time to sign up. Assisted living homes need to have a certain occupancy level to optimize their operation, and if they were to have a lot of “empty beds,” then you may be able to haggle a better deal than if they had a waiting list or a limited number of beds available. While most assisted living homes won’t share their occupancy rates, you may be able to find it through popular referral services such as A Place for Mom. The assisted living option is ideal for those who need help living indepdently. Resdients here are able to live the indepepndent lifestyle; however, they will still receive help with daily activities such as cleaning, meal prepping, medication and more. It will also work similar to an apartment where the resident doesn’t have to worry about utilities or repair, creating a maintenance-free lifestyle. In addition, residents can take advantage of events, activities, trips, social engagement and more. In contrast, independent living is ideal for those who can live on their own and won’t require any help from professionals. This option provides its residents with access to dining, entertainment and medical care with security options to keep the residents safe. According to a snippet on aplaceformom.com, you may want to consider looking out of state, even though you may want your parents to live within the proximity. What you’re going to find out is that the outlying suburbs will be much cheaper than the inner city. Some facilities may offer an “a la carte” option, where you’re able to pick and choose you what you want to have when you’re inside the facility. Like a cable television bill, pay close attention to these services and make sure they are truly necessary. Sharing a room at some places, if they allow it, can often be cheaper than having your own room. Explore veterans benefits through the Department of Veteran Affairs to see if you can offset the costs. Medicaid is an option for those who generally have less than $2,000 in assets, in addition to the car and home. However, keep in mind that a lot of facilities won’t accept Medicaid and the beds, if available, will be very limited. Moving in with your significant other can often bring the costs down.